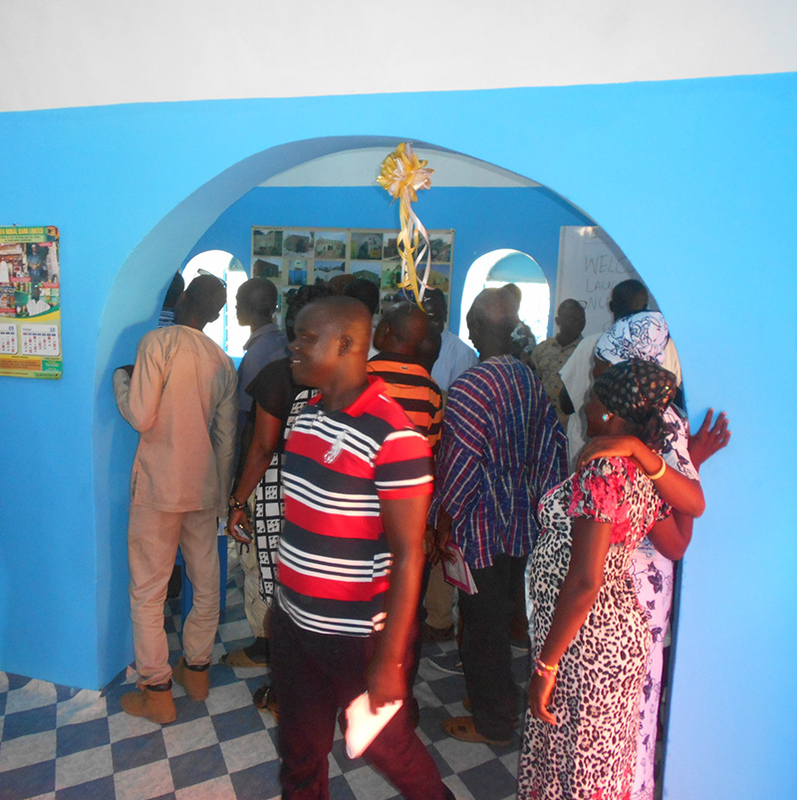 AVN-Ghana’s new office in Garu was inaugurated at the end of October, in the presence of around a hundred official guests (representatives of the District, regional chiefs, NGOs and other local actors). Over a year after the start of the first NV projects in this region, the construction of this office formalises the promising deployment of the NV market in the North-East of Ghana. Several of the noteworthy guests were invited to speak during the ceremony: they each confirmed their support for the AVN programme; for example, Robin Yemli, representing the District, said: "The District is honoured and very happy that AVN has chosen Garu as the centre of its activities in the region (...) it is clear that the NV solution is pertinent for the populations of the District (…) the Chief Executive of the District is committed to supporting this initiative". During his speech, Thomas Dietrich, Coordinator of the AVN-Ghana programme, stressed the importance of market dynamics: "We could have set up a construction firm to sell NV houses, or we could have given houses away to chosen beneficiaries. However, we are convinced that neither of these solutions would have promoted a rapid diffusion of the concept. 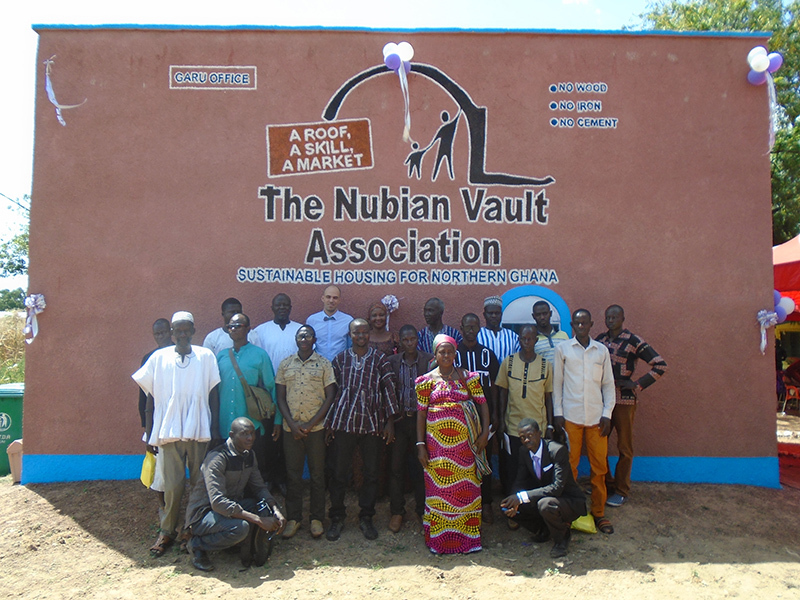 AVN firmly believes that it is only through market forces that a radical change in building practices can emerge"
In addition, the construction site for the office provided an opportunity to train 5 masons on specific technical modules, such as the use of reinforced concrete posts and beams to allow for the construction of wider buildings, and this for the first time in Ghana. Through the acquisition of these new skills, the Ghanaian masons who have been trained will be able to respond to requests for larger (e.g. urban) buildings and specific renders and finishes. The regional team in Garu now has an operational office, in a prime position in the town, which not only provides an optimal working environment, but is also proving to be a noteworthy demonstration building for the NV concept, attracting hosts of visitors!